Black Twitter practically exploded last week, when news broke that Rachel Dolezal, a prominent civil rights activist and President of the Spokane chapter of the NAACP, had been lying about her race. 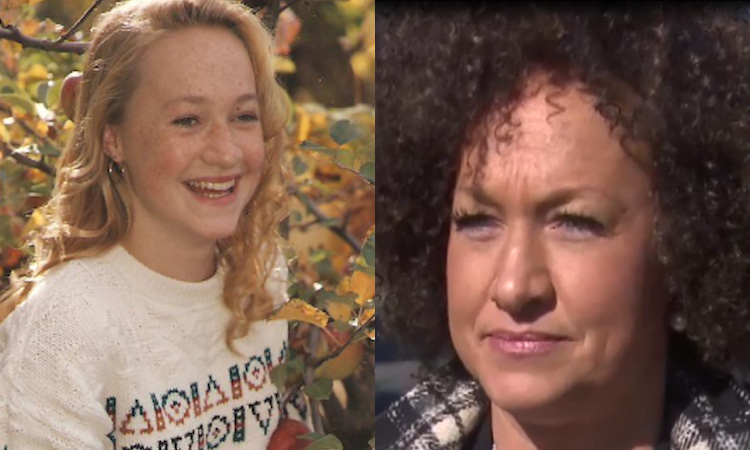 After posing as a Black woman for nearly ten years, Dolezal’s parents revealed that she’s actually white. Besides the hilarity found in the hastags #RachelDolezalPlaylist, #AskRachel, and #RachelDolezal on Twitter, Dolezal’s actions are extremely problematic on multiple fronts. Most notably, this can be seen in her wholesale appropriation of black culture. And ultimately, this appropriation is why her actions are so disturbing. It’s clear that Dolezal has made a mockery of black culture for her own selfish benefit. She curled her straight hair and claimed she was going “natural.” She made jokes about going to movies like 12 Years a Slave. She tanned her skin and stopped speaking to her parents, so that people wouldn’t know she was black. She’s even claimed her adoptive brothers, who are black, were her sons, all in an effort to live up to this charade and center herself in black culture. Even more disturbing, in response to the criticism against her, there was a movement that began on Twitter to defend her actions. In a recent interview she claims, "Actually, I don’t like the term African-American; I prefer black. So, if asked, I would say, yes, I consider myself to be black." This sparked a lively debate on Twitter surrounding the terms #transracial and #wrongskin. According to these theories, one may be born one race, but internally identify as another, thus making their “true” race the one they feel they are inside. Many people feel like the theory makes sense. Others wondered why we don’t just continue to let her stay in her position as the President of the Spokane chapter, since she knows more about black history than most black people. Rachel can wear our hairstyles, tan her skin, sport our clothes, and take scholarship money and job opportunities from other black women. She can even commodify our culture by doing nails in her basement. However, at the end of the day she can still take those “cool aspects” of our culture off and live her life as a white woman, with all that privilege entails. Being “transracial” does not work in reverse. Black people can never wake up and claim that we’re white, somehow magically absorbing all the privileges that come with that title. We can never stop worrying about our sons not coming home because the hoodie he wore made him look “suspicious.” We will never not have to worry about the prison industrial complex neglecting our youth and killing them due judicial inequality. Until the system changes, we can never relax, hoping our children won’t deal with the disproportionate amount of police brutality against us. Gender and race may both be social constructs, but these constructs are have very real consequences, affecting the lives of millions of black people every day. For 106 years, the National Association for the Advancement of Colored People has held a long and proud tradition of receiving support from people of all faiths, races, colors and creeds. NAACP Spokane Washington Branch President Rachel Dolezal is enduring a legal issue with her family, and we respect her privacy in this matter. One’s racial identity is not a qualifying criterion or disqualifying standard for NAACP leadership…we encourage Americans of all stripes to become members and serve as leaders in our organization. The NAACP has long accepted white allies within the ranks of their members. As a matter of fact, some of the founding members of the NAACP were white. Allowing white allies into our spaces has never been a problem. There is an extreme amount or narcissism involved in rising through the ranks of a primarily black association and taking the highest position under false pretenses. Even if she does have a nuanced understanding of our culture—which she arguably doesn’t or she wouldn’t have done this—the NAACP should have called for her resignation on the basis of her fraudulence alone. In short, it isn’t acceptable for anyone to co-opt our blackness. Rachel Dolezal isn’t in the “wrong skin” and black culture isn’t to be worn like a Halloween costume and discarded at will. By performing “blackness,” she made a joke of our oppression. To be white, but claim you’re something else isn’t just an insult, but a waste. Rachel could have been an amazing ally. Instead of using her privilege to help move the cause forward, she used it to de-center black people within our own movements. Please know I will never stop fighting for human rights and will do everything in my power to help and assist, whether it means stepping up or stepping down, because this is not about me. It's about justice. This is not me quitting; this is a continuum. It's about moving the cause of human rights and the Black Liberation Movement along the continuum from Resistance to Chattel Slavery to Abolition to Defiance of Jim Crow to the building of Black Wall Street to the Civil Rights and Black Power Movements to the #‎BlackLivesMatter‬ movement, and into a future of self-determination and empowerment. Justice has been served. The hurricane of criticism surrounding Dolezal and her story will effectively keep her out of activist positions and help black people to determine our own destiny. Hopefully, she’ll use this time for self-reflection and to get the mental health services that she needs. Her story will serve as both a warning to anyone who would co-opt our culture for their own personal gain, and a case study as to how appropriation flourishes. White people need to understand that until we all face who we truly are, we can never confront our problems, heal the rift between us, an address our unique traumas. Anna Gibson is a student at Wayne State University and who majors in Journalism with a minor in Africana Studies. She seeks to provide a safe space for the marginalized to tell their stories. If you think she’s cool you can reach her on Twitter @TheRealSankofa or on Facebook where she’s totally not hiding under the name Introspective Inquiries.